All the cherry blossoms in Aizuwakamatsu City are in full bloom now. Those at Tsurugajo Castle are the same. 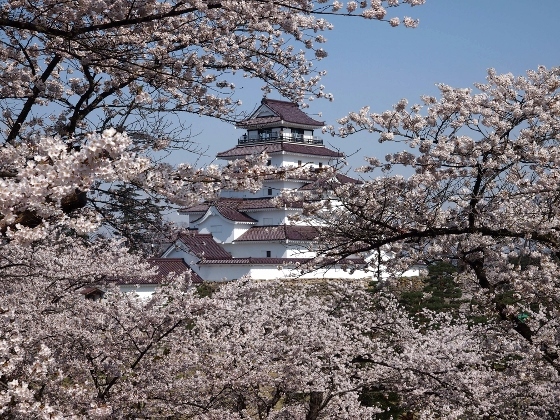 Today, the castle can be seen as shown above from Tsukimiyagura observation spot surrounded by cherry blossoms. 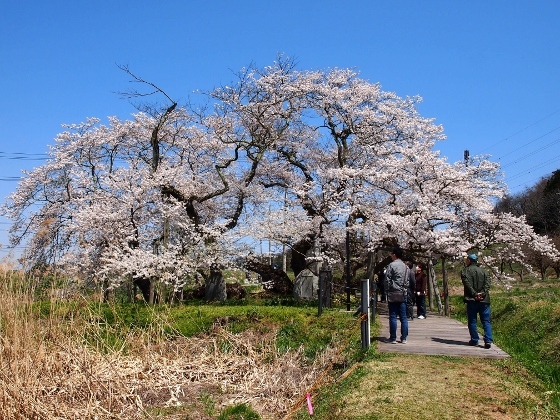 Ishibe cherry tree is an old cherry tree located near Mt. Iimoriyama in the city. It is 600 years old and the name "Ishibe" comes from a highly ranked samurai family in Edo Period who owned the tree. 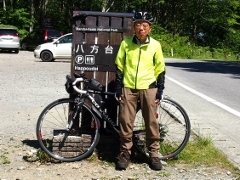 It was famous since then that many people enjoyed the blossom viewing including Aizu lord family. On the way back, I had a lunch at Mitsutaya Dengaku Restaurant. 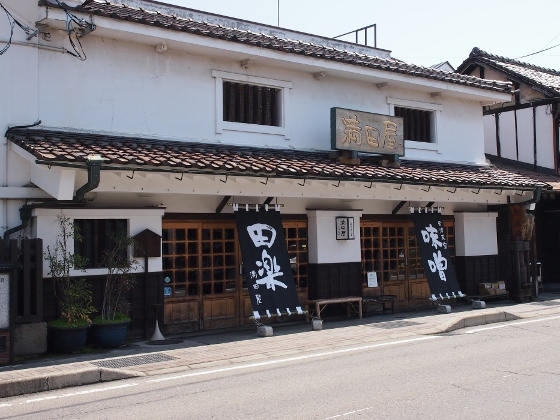 It is located near the traditional Nanukamachi Street. Dengaku Course menu which I had for lunch was a healthy meal with excellent miso or soybean paste which I can strongly recommend. 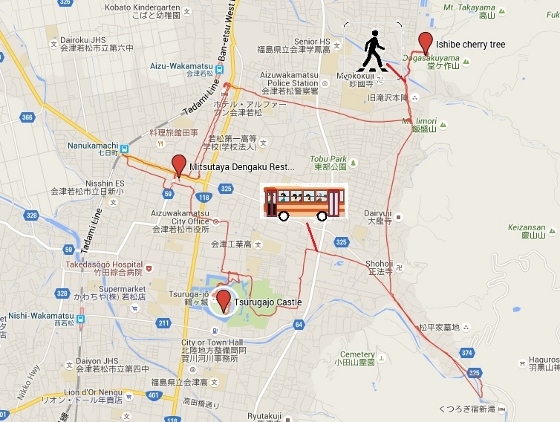 This time I took "Haikarasan" tourist circulation bus from Aizuwakamatsu station and it took me everywhere with a one-day ticket of \500.